Carlton Wayne Merriman, immediately nicknamed “Butch” by his Dad, was born in Midland, Texas, which was his home through high school. Upon graduation from Texas Tech in 1969 as a Mechanical Engineer, he was drafted into the U.S. Army. Following 2.5 years in the army, stationed at Lawton, Oklahoma and Germany, his job assignments took him to Port Arthur, Texas, Amarillo, Texas, Baton Rouge, Louisiana, and Conroe, Texas. While at Texas Tech, he met Linda Woodard and they were married after her graduation in 1970. They worshiped at the 6th and Arlington congregation in Lawton, Oklahoma. Butch was baptized during the summer of 1970 at a Gospel meeting conducted by Jimmy Allen. He has served as a deacon at Southwest Church of Christ in Amarillo, South Church of Christ in Baton Rouge, Westgate Church of Christ in Beaumont, and Woodlands Oaks Church of Christ. He was appointed as an elder at Woodland Oaks Church of Christ around 2003. 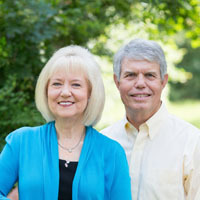 Butch and Linda have been blessed with two children and seven grandchildren. Their daughter, her husband, and their four children live in the Dallas area. Their son, his wife, and their three children live in Austin. These seven grandchildren are among their greatest blessings.